← Dying is an art, like everything else. 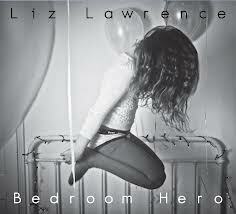 We’ve all been bedroom heroes in our time (in one way or another) and Liz Lawrence is clearly no exception, Bedroom Hero being the title track from her debut album. She has, however, moved out of the bedroom, through the front door and toward the limelight with a natural progression her talent deserves. Beginning her musical journey as a young teen playing guitar with punk and ska bands, Liz is now very much her own woman, as Bedroom Hero demonstrates. Described as an homage to songwriters who spend many a solitary hour in the bedroom, scratching around with songs in the hope of creating something worthwhile, it is a collection of mature, catchy tunes. Bittersweet lyrics are peppered throughout: Like the time we denied we were too drunk to remember: That wasn’t the person my mother brought me up to be: All those seeds you sow, where do they go. The whole album is a thing of precocious beauty (there are too many good songs to pick favourites), with not a trace of her early roots playing punk and ska. Although those roots and that experience are in evidence when she picks up her guitar and plays. The cosy ambience of The Angel could barely contain her captivating, edgy performance. Constantly on the move, her guitar became an extension of herself as she swayed in a gentle breeze of her own making during softer moments, exploding with the force of a hurricane as she punished strings and fingers in a feisty encore. 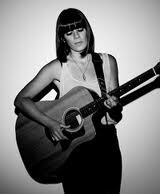 This girl can really play and has a melodic, fresh approach married to a lovely voice. Inevitable comparisons with Laura Marling are not too wide of the mark. The confidence gained supporting acts such as Chris Rea, The Civil Wars, Jake Morley and Ani Difranco has done no harm at all. Her performance was a perfect storm of romantic longing and musical attack. At times it left me almost breathless, and in her company it was all too easy to mistake aeroplanes for stars. As an extra treat there was fantastic support from the brilliant Rhiannon Mair (more on Rhiannon later in the week – I don’t want to spoil you) which made this a hugely enjoyable night. So, once again The Angel/Blue Bus Tour have done local fans of live music proud. Another wonderful artist playing in our daft little town. At times I almost have to pinch myself (but we all have our personal peccadilloes). If this extraordinary level of performance continues, The Angel may find itself too small a venue (although tonight the crowd was – inexplicably – smaller than usual), which would be a shame because its intimate atmosphere really makes these occasions special. In case you had forgotten, there is another Blue Bus Tour event at Theta Cafe, Ipswich Waterfront, on Thursday (21st February), featuring three wonderful singer/songwriters – Fiona Bevan, Lucy Sampson and Rhiannon Mair. There may still be a few tickets available so check out the Blue Bus Tour fb page. This entry was posted in Music and tagged Bedroom Hero, Liz Lawrence, The Angel, Woodbridge. Bookmark the permalink.